This article is a fascinating and educational look into fairy tales before the Grimms-from Straparola to Basile to Perrault and the French salons. My local library has several books on the brothers Grimm, many books of folktales, and a few on fairy lore, but little on fairy tales other than the Grimms, so my knowledge of these earlier authors is limited. In interpreting the tales, Germaine Greer considers carefully the historical context, something too often neglected in modern interpretations. The Erl King was further popularized by Johann Gottfried von Herder's story, in which a young groom is temporarily seduced by elf music. The Erl King's daughter attempts to seduce him, but he spurns her. In her anger, she sends him away and his bride finds him dead in the morning. Goethe's later poem is an eerie dialogue between the Erl King, a young son, who sees the Erl King coming for him, and his father, who doesn't believe him...until it's too late. "Who's riding so late through th' endless wild? The Erlking 's here with his train and crown! My son, the fog moves up and down. pretty dress my mother will give. What th' Erlking whispers so close to my ear? Will rock thee to sleep and will prettily sing. The Erlking's daughters so near to me? Dear father, oh father, he seizes my arm! Once upon a time, a woman lived with her two daughters. Snow White was quiet and gentle and stayed at home, helping their mother. Rose Red loved to run in the meadows, but despite their differences the two sisters loved each other, and their mother, immensely. One cold night, there came a knock at the door. To their surprise, there was a bear seeking shelter. Though the girls were frightened, their mother had compassion on the bear. They let him sleep by the fire each night, and they became friends and played games with him. In the spring, the bear had to leave to guard his treasure from the dwarves. The girls were very sad to see their friend go. As the bear was leaving, a piece of his hairy coat caught against a bolt in the door and tore off. Snow White almost thought she saw gold peeking through. Later, the girls were in the forest and encountered a dwarf whose beard was caught in a tree. He hurled insults at them but asked for their help. Snow White trimmed the end of his beard to free him, but at this he was furious, because the beard is a source of pride for a dwarf. The girls encountered him later, with his beard twisted around fishing line, and again being carried away by an eagle. Each time they freed him, but they received no thanks-only complaints. Once more the sisters saw the dwarf, this time carrying a load of jewels. But then a bear came out of the forest. The dwarf, in an effort to save himself, tried to convince the bear to eat the girls instead of himself, but the bear knocked him over with one blow. The girls were afraid, but the bear called to them-it was their special friend. When he had caught up with them on the road, his skin fell off to reveal a handsome man, dressed in gold. He was a Prince, bewitched by the dwarf, who had stolen his treasures. With the dwarf finally dead, the Prince was freed. He married Snow White, and Rose Red married his brother, and they all shared the treasure and lived happily with the girls' mother and the white and red rose trees that had grown outside their cottage. "Snow White and Rose Red" makes everyone happy, as it defies a lot of fairy tale stereotypes. Most noteably-it is very rare in that it features positive mother/daughter relationships, and positive sister relationships. But I love that the girls have opposite personalities. The traditional fairy tale heroine is more like Snow White-quiet, does the housework, not one for adventure. This is one of the few fairy tales to feature an adventurous, more athletic heroine. Yet I love that it includes both, not just one or the other. With all the feminist critiques of past female stereotypes, one begins to feel guilty if one happens to be female, quiet, and more inclined to read a book at home than go out and have adventures. But neither one is wrong-females have different personalities and can still live in harmony with one another. Been a while since I posted a Nightwish song! High time again. Their song "Planet Hell" repeats these lyrics: "Save yourself a penny for the ferryman/Save yourself and let them suffer." At first I assumed this was just describing a horrible place. But when I read the full version of "Cupid and Psyche" (the earliest known version in the history of "Beauty and the Beast"), I discovered that one of her tasks was to take the ferry to hell. She is given two halfpence to carry in her mouth (I don't know why) and specifically instructed, "and it shall come to passe as thou sittest in the boat thou shalt see an old man swimming on the top of the river, holding up his deadly hands, and desiring thee to receive him into the barke, but have no regard to his piteous cry..." and other sorry creatures Psyche is forbidden to share her pennies with, because otherwise she'll never leave hell. The people pleading for help, we are told, are traps set by Venus, so Psyche is not actually guilty of cruelty. Was this an intentional allusion to Cupid and Psyche, as Beauty and the Beast is a favorite theme of songwriter Tuomas Holopainen? Who knows. 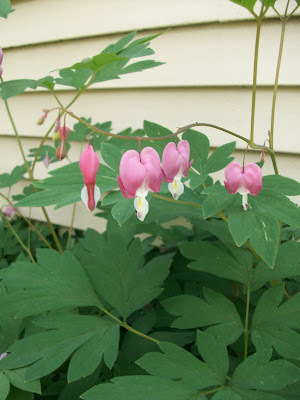 Juliet Marillier's Heart's Blood is listed as one of the modern interpretations of Beauty and the Beast on Surlalune. At first, from the summary, it seems like hardly a version of Beauty and the Beast and more of a young adult fantasy novel whose hero happens to have partial paralysis that makes him look slightly asymmetrical. However, I applaud Marillier for creating a truly unique and original story that has clear parallels to Batb. For example, Caitrin-not her father-meets Anluan in the garden, while looking at a rare flower-not a rose, but heart's blood. He responds angrily, like the Beast. Unusual circumstances compel her to stay with him-not bargaining for her father's life, but working as a scribe to translate documents of his ancestors (which is a lot like Mercedes Lacke's Fire Rose). There is a period of growing to love him, and then one of separation, where she returns because she sees a vision of his dying body in a magic mirror she had brought with her. The plot also reminded me a lot of Jane Eyre (which gets a lot of tags for a fairy tale blog...) the employment in Anluan's house, the similarities between Anluan and Mr. Rochester, Caitrin's independence, and the scene in which she sees him in the mirror and speaks to him and imagines that he hears her is like when Mr. Rochester calls to Jane from miles away and she hears and replies. At times the action and character of Caitrin also reminded me of Robin McKinley's The Blue Sword, an all-time favorite of mine. In general I tend to be very critical of modern writers. It seems that we have mastered the exciting, page-turning plots, but lost some of the mastery of language and depth of realistic characters of older novels. They tend to be more like vicarious wish fulfillment than powerful, moving stories. So, with that said, I wasn't thrilled with the writing style and characterization, although I've read much worse. But there were good messages, and the plot was a clever nod to the fairy tale while being fresh, dark and interesting-I literally couldn't put the book down. 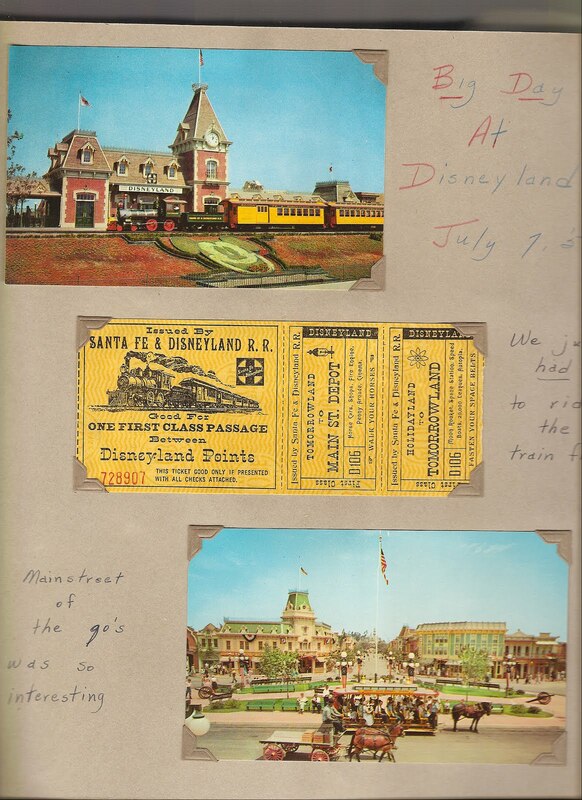 Disneyland opened in 1955. 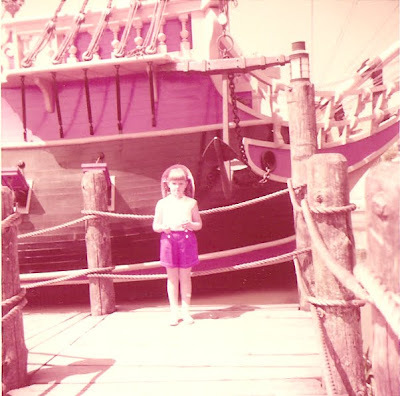 In 1956, the year my Dad was 2, his parents took him and his sister (pictured above) there for vacation. 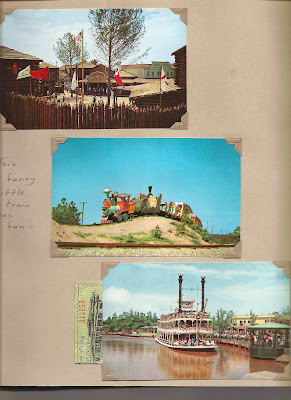 My grandmother kept very detailed scrapbooks. Above are pictures she took, below are postcards she had saved. 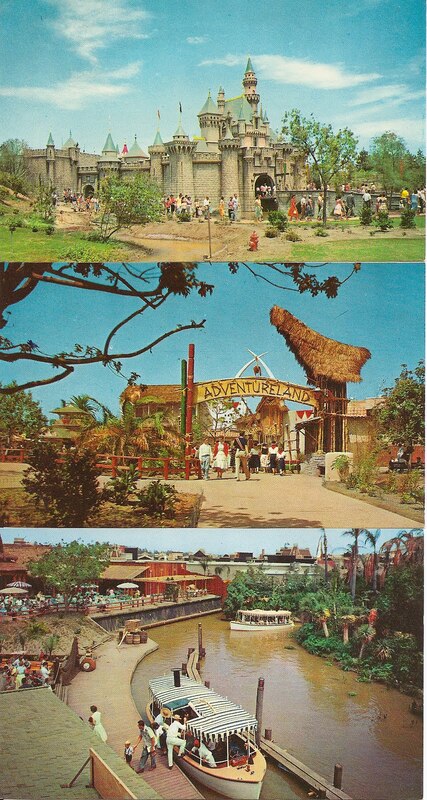 Notice the park was a lot more simple and bare then-a lot less rides and more open space. In fact, the original park had a genuine Native American village in it. Only 70 more days until I go there myself!!! This is an Irish version of a story that also has Spanish, English, and German counterparts. I like it because though Lusmore isn't entirely a "Beast figure," since it's not a romance, he's still a deformed man who goes through transformation-and it's about the power of music. Once there was a hunchback named Lusmore, who found it hard to walk. One dark night he was resting on his way home and heard sweet music coming from a ruined fort. The little voices inside kept singing over and over, "Da Luan, Da Mort!" (Monday, Tuesday!) He listened, but felt the need to add another phrase. Finally when he heard a pause in the music, he piped in, "Agus da Cadin!" (And Wednesday too!) There was a moment of silence, and then the voices started their refrain again, only with Lusmore's addition. The fairies burst out of their fort and pulled him in, waiting on him and thanking him for finishing their song. Knowing the danger humans can come to in fairy company, Lusmore was uneasy, but the fairies rewarded him by removing his hump. This joyous news spread, and woman who knew another hunchback named Jack Madden asked for the whole story. 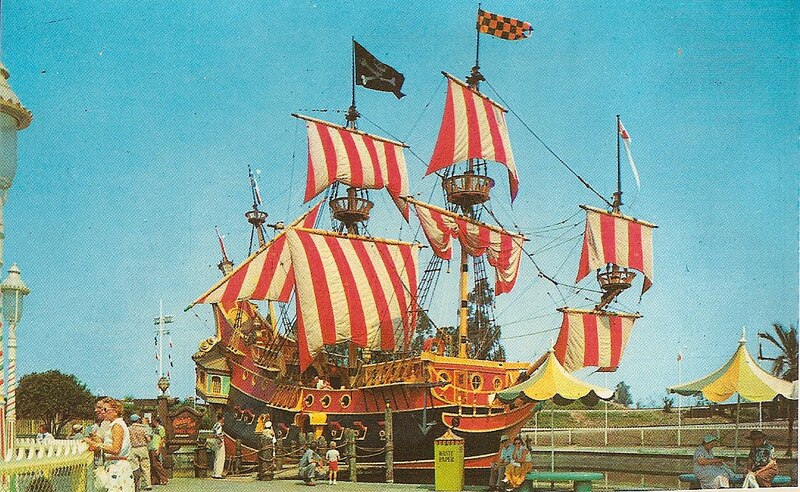 Lusmore gladly told it, and Jack's mother and her friend wheeled him to the place Lusmore had lost his hump. 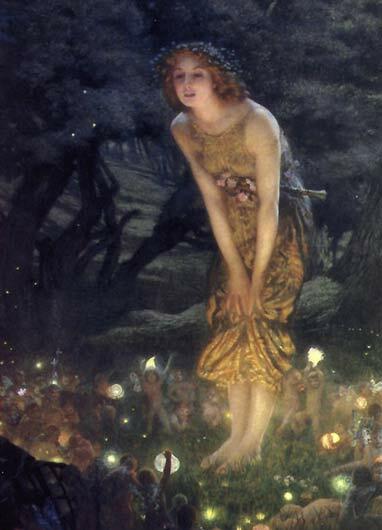 The fairies were singing the song Lusmore had helped them finish. Though there was no pause in the music, Jack yelled out with his own "Augus da Cadin, Augus da Hena." But this time the fairies were furious with Jack for spoiling their song, and as punishment they gave him an extra hump and kicked him out into the moat, after which he didn't live much longer. There was once a poor tailor whose son was so idle and lazy that the tailor eventually died from grief. Still nothing persuaded Aladdin to change his ways. One day an African magician came to Aladdin, claiming to be his uncle. The man offered to buy and stock a shop for Aladdin. They set out on a journey, and on the way the uncle revealed a magical entrance to an underground cave. Aladdin is instructed to go into the cave, touching nothing, and bring up a lamp. The uncle also gave Aladdin a ring. Aladdin fetched the lamp as he was told, but refused to give his uncle the lamp until he was out of the cave. The magician became furious, and magically rolled the stone back over the mouth of the cave. The uncle was really not Aladdin's uncle at all, but had needed someone foolish enough to get him the magic lamp so he could kill him afterwards. After a couple days alone in the dark cave, Aladdin clasped his hands to pray, and in doing so rubbed the ring. Immediately a large genie appeared and stated that he would obey Aladdin in all things. Aladdin doesn't even hesitate but orders himself out of the cave. He returned home to his mother. He offers to sell the lamp in order to get money for food, and began to rub it since it was so dirty. Another genie (this one is "hideous") appeared to do Aladdin's bidding. He ordered food, and he and his mother ate their full. With the genii, Aladdin and his mother were never poor again. One day Aladdin was seized by the desire to view the Princess as she went to her bath, which was forbidden. He caught sight of her as she lifted her veil and was instantly in love. 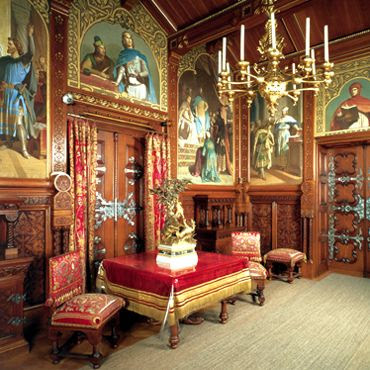 He forced his mother to stand by the Palace every day in order to ask the Sultan for his daughter's hand. 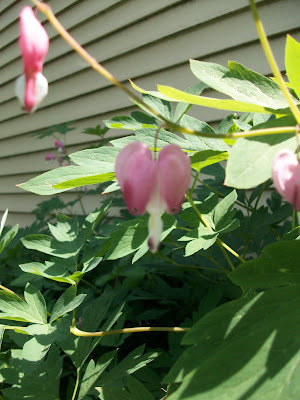 She took with some of the enchanted fruits that "sparkled and shone like the most beautiful jewels." Eventually the Sultan noticed her, and impressed by her rare treasures, promised his daughter to her son, in three months' time. But during this time the Sultan forgot his promise, and in two months his daughter was about to enjoy her wedding night with another man. Aladdin ordered the genie of the lamp to carry the Prince in his bed outside and leave him there till morning, and Aladdin took his place next to the terrified Princess. After another night of this, both bride and bridegroom were willing to be separated. When it was the appointed time, Aladdin ordered himself a splendid procession from the genie, and built a large and bejeweled Palace for the Princess. He left one jeweled window lattice undone, to allow the Sultan to have the pleasure of finishing it. But the Sultan realized he did not have enough jewels of his own to fill even one window lattice. Aladdin was a gentle and wise ruler, loved by the people. However, the magician had not forgotten about the magic lamp. He heard of Aladdin's fame and tracked him down. Posing as a lamp trader, he tricked the Princess into giving him the magic lamp for a newer one. The genie of the lamp obeyed his new master and brought the entire Palace, with the Princess in it, to Africa. The Sultan sent for Aladdin, who was out hunting, and ordered him to be beheaded. 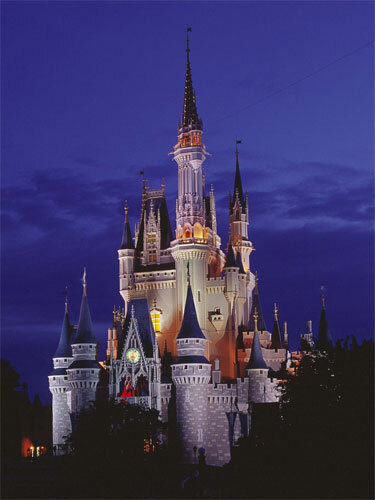 Aladdin pleaded for forty days in which to find the Palace and his wife. He intended to say his prayers and throw himself into a river, but once again accidentally rubbed the magic ring, bringing forth the other genie. However, the ring genie could not undo the magic of the lamp genie. So he brought Aladdin to the Palace. He found his Princess, who had treated the magician so harshly he avoided the Palace altogether. Aladdin told her to pretend to be welcome to the magician's advances, to beg for African wine, and to put a certain powder he gave her into the magician's wine. 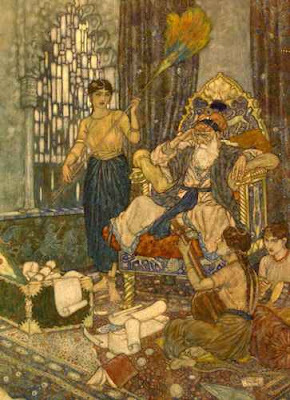 The Princess did as Aladdin said, and successfully poisoned the magician. Aladdin and his Princess were reunited and returned to China. However, the magician had a younger brother who wanted to avenge his brother's death. He posed as a holy woman, and was invited into the Palace by the Princess. 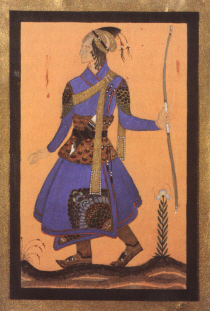 The false holy woman convinced the Princess that a roc's egg was needed to make her home truly beautiful, and she requested this of Aladdin, who requested it of the genie. The genie shrieked, for the roc's egg was his master, told Aladdin the truth about the false holy woman, and disappeared. Aladdin requested to see the holy woman but pierced the magician's brother with his dagger. After this Aladdin and his Princess lived in peace. This article by Tolu Olorunda, linked by Surlalunefairytalesblog, seethes with hatred for Disney. There are many arguments addressed in the article which I will not all address now. And let me just say that, though I defend Disney, I don't pretend they're perfect. But a lot of haters-like Olorunda-draw too strong conclusions from their facts in a way that can weaken their arguments. The article basically claims that all Disney is white misogynist propoganda. I'm going to talk about this line today: "The White female raised on Disney mostly learns that her lot in life is to seek endlessly until finding that knight-in-shining-armor—without whom her life would lack meaning." Human love and companionship isn't a bad thing. The idea that a happy ending includes a marriage is not unique to Disney at all. Take a look at generations of folklore. And what about modern chick flicks? In some way they all imply that romantic relationships are part of a happy ending. Don't they all imply in some form that a woman is not complete without a man? Not to hold chick flicks up as the ultimate standard of comparison. It's not the idea that marriage is good and can even, yes, be fulfilling, though not without any struggles at all (which is not, I think, what "happily ever after means.") It's the implication that you can't be happy without a husband-or males, without a wife-which is wrong. But this is never stated explicitly, and not only implied by Disney. Then the article goes on to cite Beauty and the Beast as the ultimate example of this catering to men-and I've heard this argument before too-because the Beast starts out violent, therefore it promotes abusive relationships. Now, the historical Beasts started out innocent completely. Various versions have explained why the Beast got so upset over the theft of a rose-basically they just need to get Beauty to the castle somehow. But I do think this is a very interesting interpretation by Disney-that the Beast reveals through his outer self what he is on the inside. However, the whole point of the movie is that people can CHANGE. Notice that, at the beginning of the movie when he IS a jerk, Belle wants nothing to do with him. She was in the act of running away when he saved her life, risking his own-that is the turning point and what makes her decide to come back. Then the key point of the next montage scene is the passage of TIME. Unlike...every other Princess movie? Except Mulan I guess-the lovers know each other for more than a couple days (or hours). It takes TIME to develop a relationship, and trust, especially when it starts out with the boy threatening your father's life for no reason. This is common in the literary precedents as well. The Beast asks Beauty to marry him, night after night, and she says no, again and again. She ultimately weilds the power. In fact, Belle is the opposite of the damsel in distress- it is the Beast is helpless on his own, sitting and waiting in the castle (and wrongly imprisoning the occasional passerby),and Belle is the one who hold the power and does the rescuing. He is the one who needs her. She might not go out and fight dragons, but wouldn't that also be prejudiced to say love and perseverance is not a valid way to rescue someone? One more thing. I used to nanny for two girls, ages 5 and 7. Sarah's favorite Princess was Ariel, Michelle's was Cinderella. Among the games we would play, we would often assume the identity of our favorite Princesses and act our stories with our combined movie characters (I was obviously Belle). Now, I did not guide the play at all, but let the children come up with their own stories, but mostly what we did was rescue our Princes from the villains. 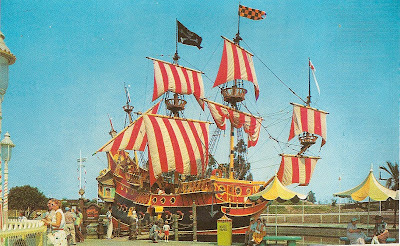 We would often get ransom calls on our imaginary cell phones and have to bike down the block to Ursula's fortress and have to come up with a plan to get Eric out of there. We NEVER played that the girls were sitting around the house, trapped by the villain, and needed the boys to save them. To counter this, several children do like to play trapped, or captured-but then generally they really don't want to get rescued, either by a pretend Prince or by a girl-the excitement is in the being trapped. So maybe children aren't all mindless slaves who see a couple Princesses who do domestic chores cheerfully and assume from this that their lot in life is to sit and look pretty and prepare to be a good housewife. Just sayin'. "Many familiar themes crop up in folk traditions that are otherwise culturally different. In a sense, then, these tales are part of a universal language which can speak to peaple across human frontiers, just as music does." So says Alexander McCall Smith in the introduction to his collection of African tales from Zimbabwe and Botswana. So the next time someone asks me what I do, I should just say, "Oh, I dabble in universal languages." And it's true that while the tales may not be the same from Africa to Western cultures, many similar themes appear. 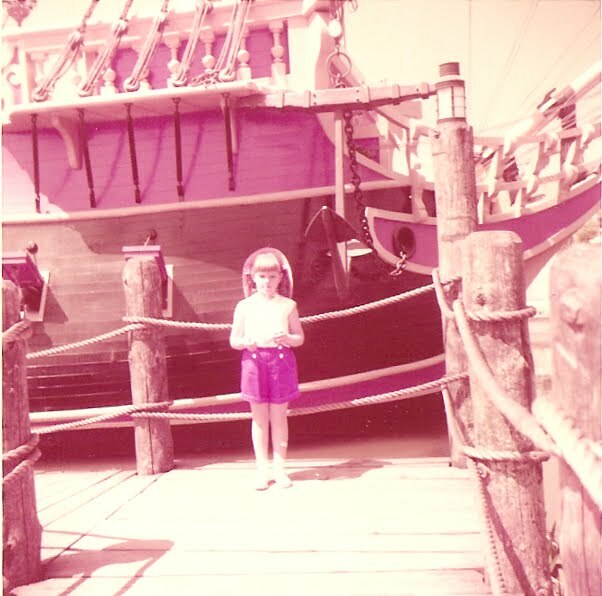 In the tale of "The Children of Wax," a couple has wax children for some unknown reason. They love their children, but because of their unique condition they can never see the sun. The prohibition of not seeing the sun also exists in tales such as Madame D'Aulnoy's "The White Deer" and the Norwegian "The Three Princesses of the Blue Mountain." And, just like in Western tales, the prohibition is bound to beviolated-one son, Ngwabi, can't control his curiosity. He walks outside at noon and melts into a puddle. His dismayed siblings wait until the sun goes down to go out and collect his remains. The oldest sister makes them into a wax bird. Once the sun rises, the wax bird turns into a bird that flew away, "and the children knew that their brother was happy at last." Birds are significant in many Western tales, as magical helpers and in other roles-but the specific image of a death that turns into the life of a bird is very much like "The Juniper Tree." Of course I was drawn to the Animal Bridegroom tale. 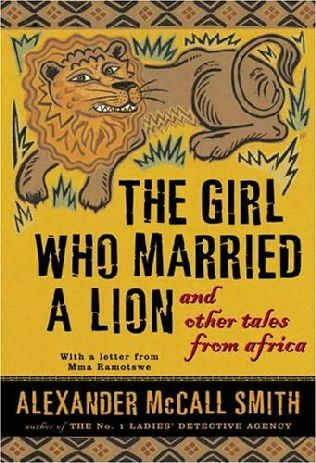 Though the title, "The Girl Who Married a Lion," might sound very much like one of our tales, it takes a different spin on marriage to an animal. A girl marries a strong, handsome young man. Everyone is happy for her-except her brother, who is convinced that her husband is a lion in man's disguise. No one believes him, but years and two sons later, the wife admits to her brother that her husband has an odd smell. The brother comes over and confirms that it is lion smell. To test him, they tether a goat to a pole outside. The next morning, the goat is gone and only the bones are left. This confirms that the husband was a lion, and the wife is able to escape the potentially dangerous marriage. The wife is concerned about her sons. To test this, her brother puts his nephews in a cage by where the lions walk. The lions are about to attack the boys when their uncle saves them. The fact that the lions wanted to attack the boys meant they are not really lions, so the happy mother lives with her boys. Our animal bridegroom tales generally involve a man in disguise as an animal, not the other way around. And maybe I'm just so used to this, but what did the husband do wrong, other than smell funny and eat a goat? He's a lion who somehow appears human, and must have desired to marry the woman of the tale. Despite his lion nature, he had never harmed her or his sons. The tale just says that he might have eaten her in the future. There seems to be so much Disney hate out there. Not necessarily in mainstream, but there seems to be this attitude that educated and enlightened people look down on Disney, for several reasons-today I'm addressing the idea of changing the tales to have happy, idealistic endings. I'd just like to throw on the table: it's not wrong to create versions of fairy tales that are specifically for children. We have versions specifically for adults, or young adults. What's unfortunate is that culture now perceives fairy tales as only appropriate for children, whereas that's a pretty recent development in the history of fairy tales. (Almost) anything negative people accuse Disney of is part of a trend started earlier in Victorian times, most notably with the brothers Grimm (Good always being rewarded and evil always punished, helpless females, etc.). I can get a bit sarcastic about Disney myself, but I have a very big brother attitude about it: "No one beats up my little brother except for ME!" Though Disney makes its endings happy, there's still a lot in Disney movies considered to be scary by real, modern children. I was retelling the story of Lion King to some little girls, and when I got to the part where Mufasa dies, the 5-year-old said, after expressing her dismay and disbelief, said "Why would they put that in a story for kids?" Definitely, Disney shapes how a lot of children think about stories and fairy tales, but Disney isn't the only thing they watch. What other children's products (or "family friendly" products) DON'T end in happy endings? Should Dora the Explorer kill Boots? Actually that would be awesome. But that would only ever happen in a parody. But you get the idea. "When you came on me in Hay Lane last night, I thought unaccountable of fairy tales, and had half a mind to demand whether you had bewitched my horse; I am not sure yet. Who are your parents?" "Nore ever had, I suppose: do you remember them?" "I thought not. And so you were waiting for your people when you sat on that stile?" "For the men in green: it was a proper moonlight evening for them. Did I break through one of your rings, that you spread that damned ice on the causeway?" I shook my head. "The men in green all forsook England a hundred years ago," said I, speaking as seriously as he had done. "And not even in Hay Lane, or the fields about it, could you find a trace of them. I don't think either summer or harvest, or winter moon, will ever shine on their revels more." -Conversation between Mr. Rochester and Jane Eyre. From Jane Eyre by Charlotte Bronte. The creators of the Disney Beauty and the Beast said that they gleaned from the existing versions of Beauty and the Beast to produce their own. While it does seem that their version is hardly at all like the Villeneuve/Beaumont, the more you research other versions the more you see similarities. For example, though the Gaston character is unique to the Disney version, there is a Gaston-like character in Cocteau's film. 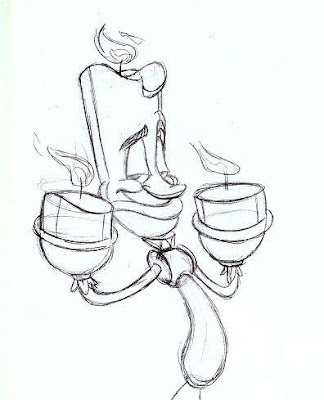 I wonder if the famous image of the arms holding the candelabras was the inspiration for Lumiere, too. 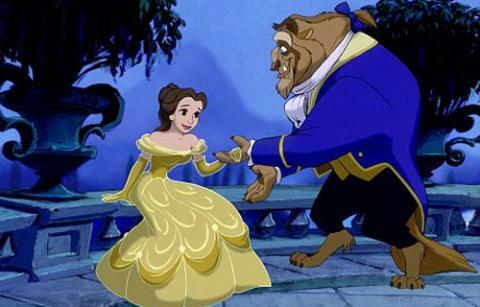 Another unique feature of the Disney version is the way in which the Beast becomes cursed. Villeneuve explains that an evil fairy cursed him out of spite because she wasn't able to seduce him in Prince form. Most versions just say an evil fairy or magician cursed him without going into detail. Disney provides an interesting twist in that the Beast behaves completely selfishly, is tested by a fairy, and his rightful punishment is to take on the form of an animal to match the animal he was acting like. Once he learns to behave like a man again, he is able to take on the appearance of a man. This exact same plot element is found in the children's book version by Marianna Mayer, illustrated by Mercer Mayer, from 1978. The Beast tells Beauty, "When I was a boy I was very vain and quite proud...One day an old hag came begging at my palace gate. I showed her no pity, she was so ugly. The sight of her did not move me and I sent her away without food or money. As she left she warned that I would spend the rest of my life wandering in my fine palace without a friend till someone could find Beauty in me." After the Beast turns into a Prince, he explains, "Now at last I am free to tell you that the old woman was really a fairy in disguise sent to sest me. Though I failed she was kind enough to put my whole palace in a magical spell till I could find you to redeem me." I've already wondered if the enchanted objects were inspired by Robin McKinley's invisible maids. What else can you think of from older versions that might have been the inspiration for elements of the Disney film? An old Chanel commercial. Notice how the wolf is just a submissive, non-threatening animal, like the progression I talked about here. I think it's in theory supposed to increase the power of the female, but it really just decreases the actual power of the wolf. But whatever, commercials aren't supposed to be analyzed, right? But, the music is from Danny Elfman's score to Edward Scissorhands, which a)I love, and b)Edward is another Beast figure! 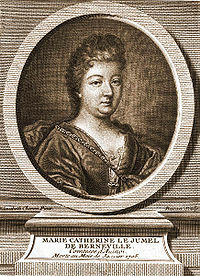 In Madame D'Aulnoy's time (c.1650-1705), it was fashionable for the French to sit in their salons and share fairy tales they had made up. Creating a good fairy tale was an admired skill, and D'Aulnoy was among the best. She hated the way women were treated at the time, and "all her tales are filled with violence and violation of some kind that must be resolved." By making her fairies disagree with one another and making life harder for the humans, she was also making political statements about Louis XIV and his ministers. 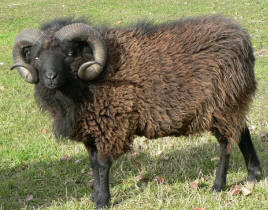 Her tale "The Ram," though literary and not oral, is an Animal Bridegroom tale that may have been known to Madame de Villeneuve when she wrote "Beauty and the Beast." Now we get all Snow White, because he is so insulted at Marveilleuse he orders the captain of the guards to take her out into the forest and murder her and bring him back her heart and tongue. Immediately her servant girl and pets offer to give their hearts and tongues instead, where they all committed suicide but the monkey's organs were too small and the servants' (who was a Moor) were too black. So the Princess, all alone, stumbles upon a group of civilized, talking rams living in luxury. The King Ram tells her how he was enchanted by an evil, ugly fairy for not returning her love (just like Villeneuve's Beast). 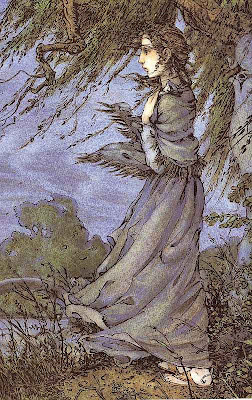 Among the fairy's victims the Princess finds the ghosts of her faithful servant and animals. The Princess finds herself falling for the Ram. This Animal Bridegroom story is unusual in that she knows that he will transform eventually, and just from paying his sentence to the fairy, not from her declaration of love. Well, they live happily until her eldest sister gets married. She goes to the wedding-anonymous in her supposed death, and in all her new splendor (kind of like Cinderella? How many fairy tale allusions can we fit into this one tale?) everyone is enchanted by her but doesn't know who she is. She slips out, and the King orders that if she ever comes again, the castle doors should be shut and she detained (this tale definitely features Oedipal issues, but mainly the father's). The second sister gets married and Marveilluese wants to go to the wedding. The Ram can't live long without her, and she promises to return quickly. But her father had locked all the gates to keep her in. He invites her to the banquet, and offers her a gold basin to wash in, just like in her dream. The story comes out, but since this takes a long time, the lovesick Ram comes to the Palace to find her. No one at the palace wanted her to go back, so they refused to let the Ram in. When the Princess finally did leave the Palace, she found her Ram dead by the door. Hey, this is my hundredth post! I've already discussed, here and here, some myths I've heard about the Villeneuve version-or, facts I read that were inconsistent with my translation. At the time I was very confused as to what the source for all the misinformation was, and I've stumbled upon a clue. In Betsy Hearne's Beauty and the Beast: Visions and Revisions of an Old Tale, she uses the Ernest Dowson translation from his The Story of Beauty and the Beast: The Complete Fairy Story, from 1908. I have been referring to Jack Zipes' translation in his Beauties, Beasts, and Enchantments: Classic French Fairy Tales (note: the link is to the hardcover copy, which is the only one that includes the Villeneuve, but is currently out of stock on Amazon), from 1989. Now...one wouldn't think that the publication date would have any affect on the translation, and though I am not an expert in French, it is a language pretty closely related to English and therefore different translations shouldn't have too many discrepancies. Yet there appears to be quite significant differences between the two translations. For example, Dowson has the Beast asking Beauty not to marry him each night, but to sleep with him, while Zipes sticks with nightly marriage proposals. Again, I'm not a French expert, but the French verb "to marry" ("marier") and "to sleep" ("dormir" or "coucher") are not interchangeable, at least not according to my French-English dictionaries, or anything I learned from my very bad high school French teacher. "However slight was Beauty's impatience to find herself by the side of her most singular mate, she nevertheless got into bed. The lights went out immediately. Beauty could not help fearing that the enormous weight of the Beast's body would crush the bed. She was agreeably astonished to find that the monster placed himself at her side with as much ease and agility as she had herself sprung into bed. Her surprise was even greater still on hearing him begin to snore forthwith; presently his silence convinced her that he was in a profound sleep." This is doubtless very surprising for something published in 1740-that a couple would immediately sleep in the same bed after becoming engaged, but not touch one another. There is definitely a sense of humor in the wondering if the Beast will crush the bed, and then his snoring, but it almost seems too much like a joke and not a fairy tale. A striking contrast to Jack Zipes' translation. After the fireworks display ends: "the Beast took his leave, and Beauty retired to rest. 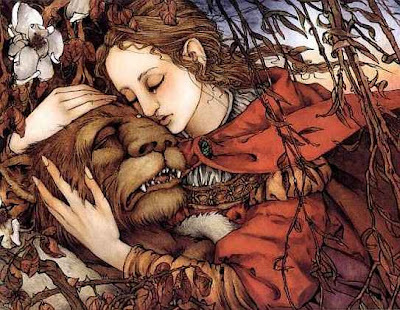 No sooner was she asleep than her dear Unknown [the Beast in Prince form, who visits her each night in her dreams] paid her his customary visit." This is not just difference in how to translate a certain word or phrase. Either Dowson invented several lines about the Beast sleeping on the same bed as Beauty, or Zipes invented the part about the Beast taking his leave and just left the rest out. What gives? I AM SO CONFUSED. What does the actual French say? How would one access this French version? The Dowson itself is too rare to get my hands on, and I'm hardly fluent enough to translate for myself anyway. Why do so many people lie about fairy tales? Today I spent some time with elderly relatives. Now, I love a good classic horror story, especially involving ghosts and haunted houses, but to me the most truly terrifying thing about life is growing old and ageing. Not only the inevitability of death, but as loved ones grow older and older and regress backwards in time, going from independent adults to a helpless, infant-like state-physically and mentally. As hard as it is to watch other people go through this, in the back of one's mind you can't help but remind yourself that this could be you one day, once again unable to walk or feed yourself or remember what you just had for lunch. So, first of all, to set the tone: Gustav Holst's "Saturn: The Bringer of Old Age" from his orchestral suite The Planets. Though not directly related to fairy tales, it's related to myth anyway. I love how Holst portrays old age as this eerie, creepy, relentless march. 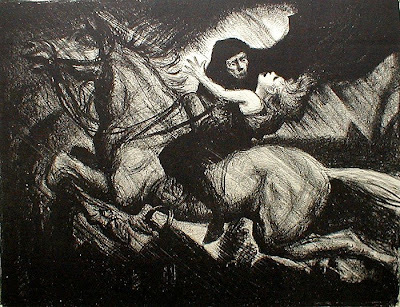 The Grimms Collection, though it definitely celebrates youth (sometimes in a creepy, pedophily way- Snow White was only 7 at the time she was abandoned in the woods and there's no reason to believe much time passed before the Prince became obsessed with her corpse), but there are a few fairy tales about old age. "The Ungrateful Son" features a son who refuses to give his aged father any food. As punishment, a great toad permanently attaches himself to the son's face. "The Old Man Made Young Again" is quite violent-the Lord and St. Peter make an old man young again by putting him through a forge. The smith decided to try the same thing with his mother-in-law, but she only experienced pain and no miracle. The screaming of the old woman and the sight of her sufferings caused the smith's wife and daughter-in-law, who were both pregnant, to immediately give birth to creatures who became the first of the race of apes. In "The Aged Mother," an old mother bitterly remembers how her family is dead, including her two sons. 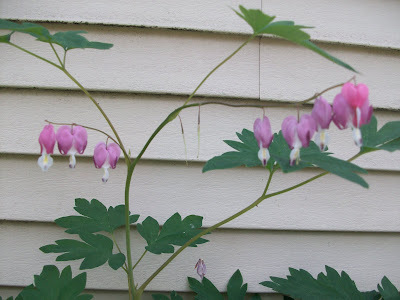 Hearing bells, she is surprised for it to be morning already, but goes to church. Only instead of the regular churchgoers, she realizes all the people in the pews are the ghosts of her dead relatives. At the front of the church is a vision of her two sons, "one hanging at the gallows, the other bound to the wheel." The mother's dead aunt tells the mother that the death of her sons was actually a mercy, to prevent them from the wicked lives they would have lived. The mother is no longer bitter but thankful towards God. Three days later she dies. My favorite, though, is "The Old Grandfather's Corner." An old grandfather lives with his son and daughter-in-law. He is deaf, can barely walk, and can barely eat without spilling. Eventually his son and daughter-in-law set him in a corner behind a screen, out of their sight. The old man would look mournfully toward the table but say nothing. One day he accidentally broke his bowl, and the young mother had to buy him a new wooden bowl for a penny. One day, the couple saw their small boy making something out of wood. They asked him what he was doing. "I am making a little bowl for papa and mamma to eat their food in when I grow up," he replied. The parents looked at each other and began to cry. They brought the aged grandfather back to the table with them and never again treated him unkindly. 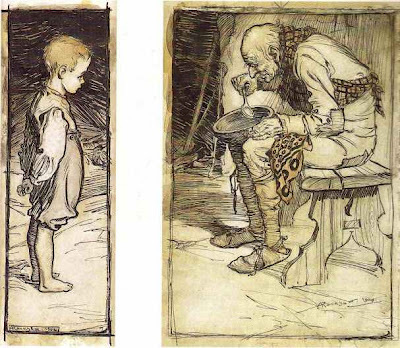 In a Russian variant of the tale, instead of the parents sentencing the grandfather to a corner of the room to eat, they were going to leave the grandfather alone in the woods to die until the little boy reminded them that in another generation, their roles would be different. The Neuschwanstein Castle in Bavaria claims to be the "original" on which the Cinderella castle is built, but apparantly the designers looked at several castles when creating this attraction. I'm sure it's much like how several states in the U.S. claim to be the home of Lincoln. This is the music room, which I automatically like, although does anyone else actually see anything musical in this room? 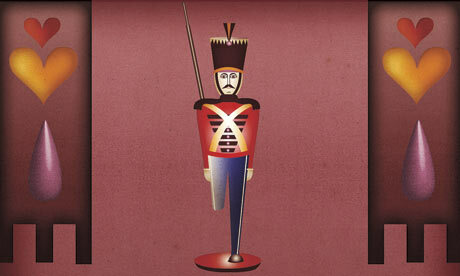 Hans Christian Andersen's "Steadfast Tin Soldier" gained fame through Disney's Fantasia 2000, set to Shostakovich's 2nd piano concerto. With Disney, you can expect at least something to be changed from the original source. While the journey through the sewer and all the dangers entailed may seem like movie makers trying to beef up the story a bit to make it more enticing, that's actually all from the fairy tale. In fact, the short follows the story pretty closely until the very end, in which the evil jack-in-the-box (which is really a goblin who lives in a snuff box) does not fall out of the window, and the soldier and the ballerina do not live in perfect bliss. No, true to Disney style, Andersen's more tragic endings have been covered up. In the real story, the child puts the soldier in the oven, for no reason, and the ballerina is carried in as well. The tin soldier burns and melts into a heart, and all that's left of the ballerina is her tinsel rose. Now, backing up-I adore this fairy tale. The reader's heart immediately goes out to the one-legged tin soldier. I love anything that relates to Beauty and the Beast, and there are two levels-there are actual versions of the tale, that involve most of the plot and prop elements, such as the father and the rose and Beauty staying at the castle of the Beast. Then there's a broader level, where any story in which there is an outcast character because of some physical deformity or difference is also distantly related to Beauty and the Beast. So in that way, the Steadfast Tin Soldier is like a Beast figure. He also would like to marry the ballerina, but "she is too grand." I also love any story in which toys come to life. Everyone knows that this happens when people leave the room, and we have proof from The Christmas Toy and Toy Story. And yet, though the whole thing is from the perspective of the Tin Soldier, there's an eerie juxtaposition between him as a tin toy and him as a thinking being. The whole time, he comes up with reasons for why he doesn't cry out for help (he's too proud as a soldier) or speak to the rat in the sewer, etc. Critics relate this to Andersen's passivity, but you wonder if it's really because, as a toy soldier, he simply can't move, though he thinks he can. The only action he instigates is laying himself down to get a better look at the dancer, but that could possibly be that the soldier was knocked over. It adds to the helplessness of the characters and the pointlessness of the unhappy ending, yet leaving the reader freedom to imagine either circumstance. The story almost needs the depressing ending to justify the miraculous return of the soldier from the belly of the fish, to the very playroom from which he started. The ending at least gives it more realism, and the shape of the heart and the rose left make it bittersweet and tragically beautiful. Critics seem to view the ballerina as being punished for not returning the soldier's love, but it seemed to me that maybe the wind blowing her into the oven was maybe so that they could die together rather than having her live alone without him. Maybe I'm hopelessly romantic, but she does leave a rose behind, which is very symbolic of love. One more thing-this type of tale, in which the protagonist is a toy or animal, is part of a tradition of insinuating that the ultimate villain is one who is MEAN TO THEIR TOYS or wouldn't go to any length for the sake of a pet. Now I love animals and toys, and I think we should be kind to animals and it's probably a red flag if a young child doesn't show some level of affection for toys that resemble humans and animals, so I don't really mind. But this level of thought reached new levels in the movie The Brave Little Toaster, in which the protagonists are all household appliances. This movie freaked me out when I was little, and it's even pretty horrifying to me now. It's incredible how they make a man who recycles used appliances into evil personified, and how the boy almost dies in an attempt to rescue his childhood toaster. Going back and rewatching this movie made me think about how I perceived it as a child-I only remembered the scary parts, I didn't remember any of the resolutions. I think there's a lot that goes into how a child perceives a story and it's often much different than the intended message-but that's a whole other topic. Tchaikovsky, born on THIS VERY DATE in 1840, was an incredibly sensitive and weepy child. His nurse referred to him as a "child of glass." To this I can relate-I was also oversensitive as a child and my mother (who doubled as my piano teacher) wrote a little piece for me to play at a piano recital called "My China Doll." However, bearing similarities to Tchaikovsky isn't exactly something to be proud of. Tchaikovksy started out in law and started music relatively later in life (at 21). He was horrible with money (he had to borrow money from his servant) and had a paranoia that his head would fall off while conducting, so he conducted with one hand and held his head with another. Like many great composers, critics hated his music at first. As far as his love life goes, he had an infatuation with soprano Desiree Artot, who married someone else. He was later married to Antonina Miliukova for a whopping nine weeks (bad even by celebrity marriage standards), but not surprising considering he was a closet homosexual. The marriage resulted in his attempted suicide, and she eventually ended up in an asylum. 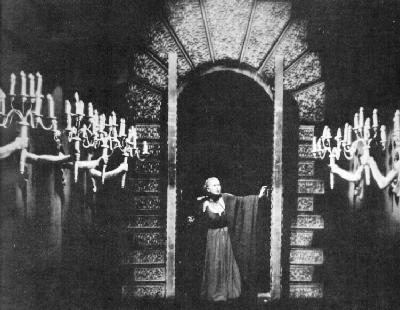 The premiere was not well received, due to several non-music related factors, but including the fact that the Russians did not approve of the German fairy tale being used as the basis for the ballet. But with new choreography in 1895, and the introduction of the same dancer dancing both Odette and the enchanted Black Swan Odile, it has become a standard in the ballet repertoire. The excerpt below is Odile's part-note the famous 32 fouettes starting at about 10 minutes. The original version ended in the death of Odette, as consequence from Seigfried's unwittingly professing love to the wrong woman (Odile). Other versions have added on a true love conquers all ending (If Disney ever created a Swan Lake, we all know which ending they'd choose. 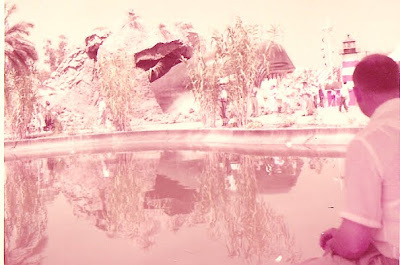 But it could hardly be worse than the Barbie Swan Lake, right?). 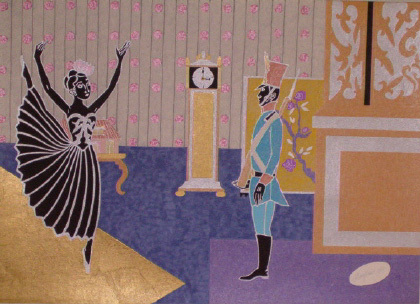 Tchaikovsky's Sleeping Beauty premiered in 1890, and The Nutcracker was created later. 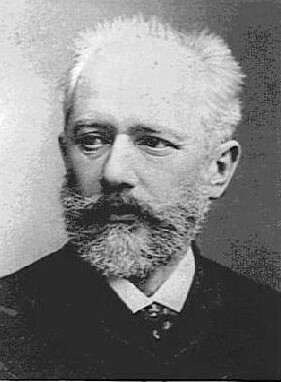 Tchaikovsky himself didn't like his music for Swan Lake or The Nutcracker, which are now both greatly admired. Again, critics were harsh at the premiers, but shows how much critics know- The Nutcracker is the most performed ballet of the Western world. The Beast: what does he mean?